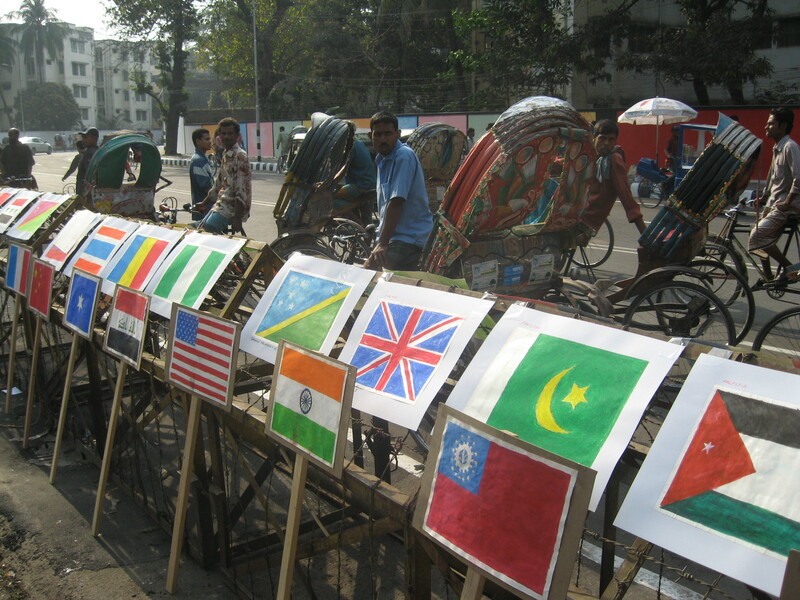 Today is the start of the Ekushey preparations (National Mother Language day). Very exciting. Went to the down town memorial where the ceremony will take place on Sunday. 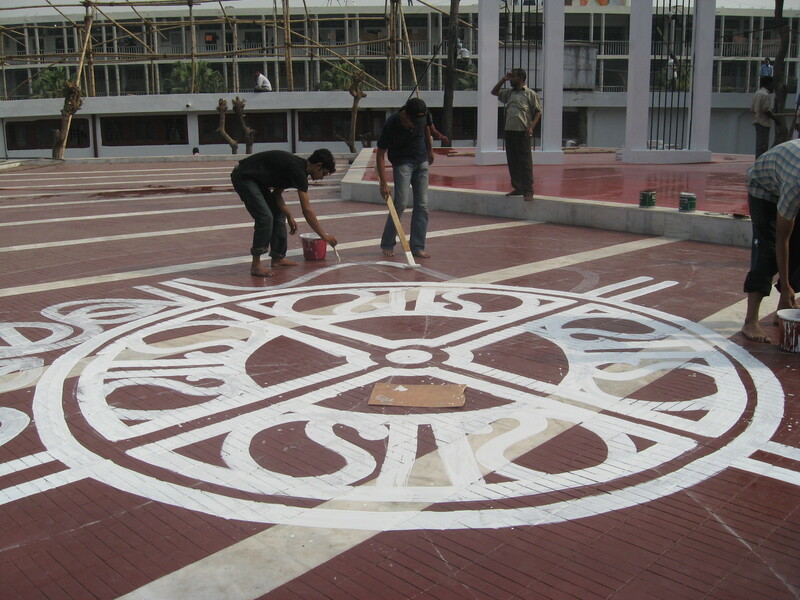 Fine art students from the university have started to paint the floor and prepare the alpana patterns. This time 40 odd years ago, their university contemporaries died in a massive rebellion against the imposition of Urdu as the national language. 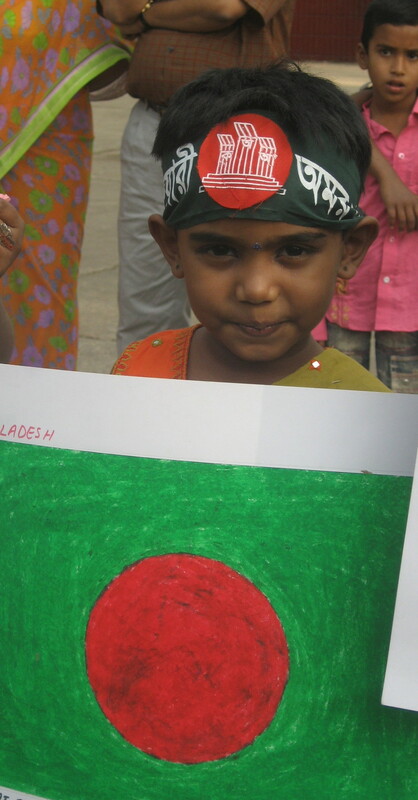 I get the feeling Ekushey is one of the most important days for the Bangladeshi. There were already flag sellers and banners being set up. 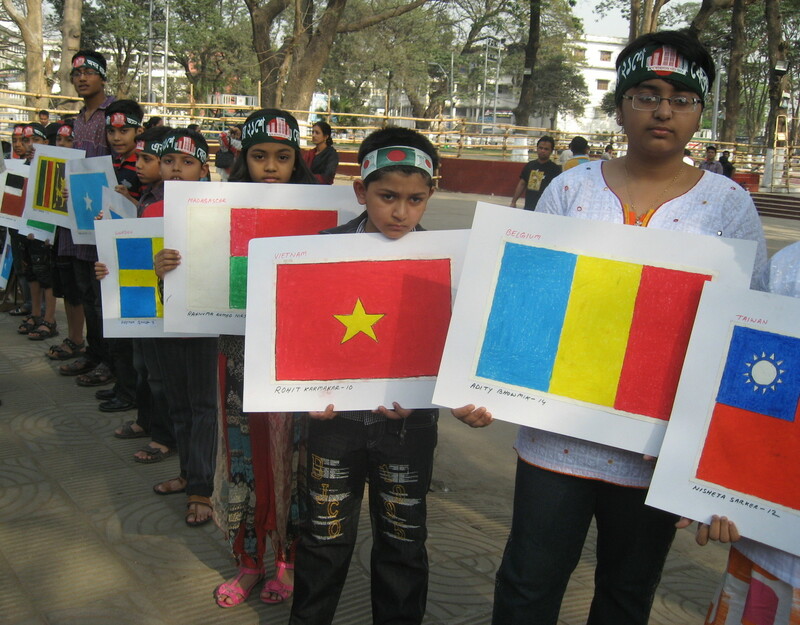 I also attended the little art school’s Flag installation to mark Ekushey. Very sweet. Children extremely proud and well behaved despite standing in hot sun for 2 hours. I was asked to hand out the prizes. 75 in all! 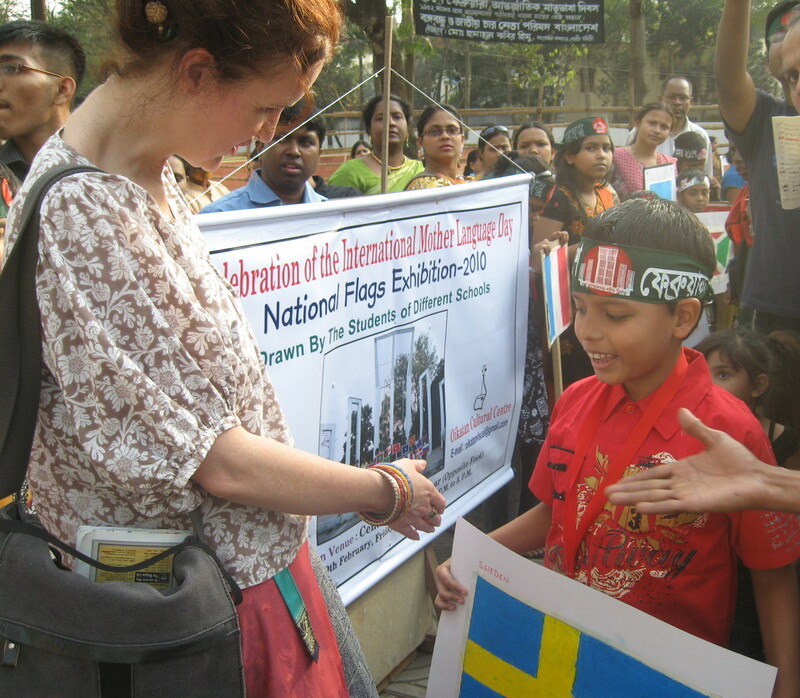 Was exhausted by the end, but very nice to be so honoured.